TWO MONTHS ON from sealing a move to Portsmouth, Ronan Curtis is wasting no time in endearing himself to the club’s fans. The London-born 22-year-old, who can play on the wing or up front, scored twice as Portsmouth beat Blackpool 2-1 to maintain their 100% start in League One. Kenny Jackett’s side, who finished eighth last season, also won their first match of the campaign, beating Luton 1-0, with Curtis completing 90 minutes on that occasion too. 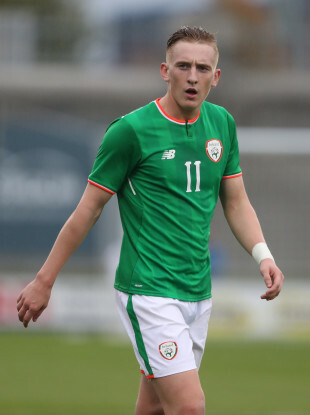 The Ireland U21 international only joined the club in June, having impressed with Derry in the League of Ireland, scoring four goals in 18 games during the first half of the 2018 Premier Division campaign. Email “Ireland U21 international makes swift impact at new club”. Feedback on “Ireland U21 international makes swift impact at new club”.